Earthley’s magnesium body lotion made is with 100% clean, mostly organic ingredients and is always free of parabens, fragrances, and common allergens. Our magnesium body lotion promotes restful sleep, helps with leg cramps, occasional headaches and constipation, and more. Formulated to be used for the whole family! Use a pea-size and apply on your legs 10-15 minutes before bed. Size Choose an option4 oz.8 oz.1 oz. Good Night Lotion is for good nights. Peaceful, sleepy, happy nights for the whole family. Doesn’t that sound amazing? Lavender promotes restful sleep and helps you or the little ones fall asleep faster. Magnesium chloride promotes normal sleep cycles, meaning you stay asleep longer and the little ones don’t wake as often. This product is now vegan! Have you ever held a baby up over your head at 4 AM and whispered “Just go to sleep already!” Good, me neither. How about lying in bed at midnight, desperately wishing that you could fall asleep, now that the little ones are finally down (for now), knowing that tomorrow, you’ll need all the coffee just to be functional. 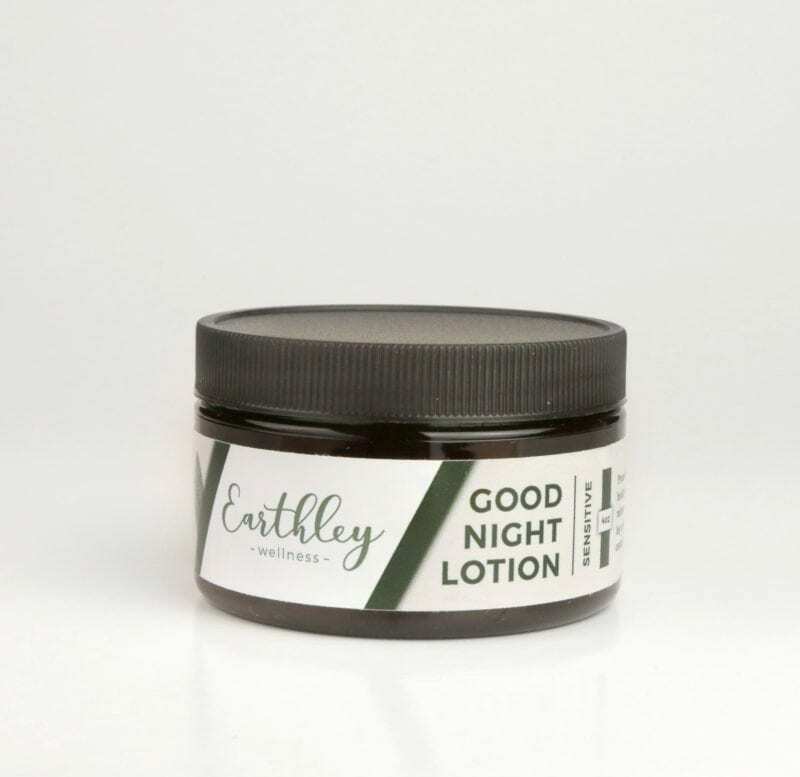 You might be missing Good Night Lotion — Earthley’s magnesium body lotion. The secret of this moisturizing miracle is the magnesium chloride and the lavender. Many moms tell us it’s been their magical solution! Good Night Lotion, also called magnesium body lotion and made with magnesium oil, really isn’t just for good nights. It may also help with growing pains, occasional constipation, restless legs, headaches, and a whole bunch of other stuff — it’s a must-have for your natural remedy cupboard! Considering magnesium oil or magnesium spray? This has all the benefits without the itch! These statements have not been evaluated by the FDA and this is not intended to diagnose, treat, or cure anything. Buy Earthley’s magnesium body lotion today and enjoy the sleep you need! Want an unscented or lavender-free version? Try our Good Night Lotion Sensitive (formerly Mama’s Magnesium Dream Cream). It’s all the magnesium goodness of the original, without the essential oils. Learn more about Our Ingredients and why they’re so pure! Apply a pea-sized amount to legs or belly 10 – 15 minutes before bedtime. Use slightly more for adults. There is approximately 200 mg of magnesium in 1 tsp. of lotion. Considering Earthley’s natural herbal supplements? Check out our Supplement Guide to see which ones would be most beneficial for your family! Safe for the whole family, from newborns to adults, including nursing and pregnant mamas. Using too much may cause temporary diarrhea, but will not cause any long-term or serious issues. If you notice loose stools, use less. Good Night Lotion Sensitive is recommended for pregnant women or infants under 6 months. Great texture and scent! Unlike most magnesium lotions and sprays, this one doesn’t leave our skin sticky or itchy. I haven’t noticed any changes in our baby’s poor sleep but it helps me sleep and is great for headaches or muscle aches. I love this lotion. I use it on my whole family (kids ages 7, 5, 3, and 15mo). The consistency is great. We love it! We use this on our 8 year old, 6 year old, and 19 month old. The youngest is teething badly so he doesn’t show results. However, my oldest was always anxious and couldn’t settle before bed. Since using the lotion, he is sleeping within 10 minutes. I just got mine today so have not used it yet but I love the great ingredients list smell and texture can’t wait to try it out! I love GNL! I haven’t slept this good since before kids….how how I ever lived without it? The texture is nice and it smells good! My kids beg for Goodnight Lotion! It has a wonderful silky texture that does not leave their skin greasy. It has become part of our bedtime routine with a little foot massage while my husband reads them their story. I highly recomment it! Love love love this lotion! It smells amazing and the texture is super creamy. I have been using this on my two toddlers for the last few nights and it really helps them relax and sleep well. I had been a good sleeper most of my life until somewhat recently when I would toss and turn all night. This lotion has brought me back to sleeping well throughout the night after a few weeks of being frustrated that I wasn’t getting the rest I needed to function well. It has a great texture and scent. This stuff is amazing. My son has had two sleep studies due to sleep difficulties. We’ve tried a number of natural remedies and even medication and nothing helped him fall asleep until we got goodnight lotion. I give him a foot rub with it before bed every night, and he’s asleep within about 10 minutes, which for him is a drastic improvement. Truly wonderful stuff! Love this lotion! My daughter is 5 and has never been a great sleeper. I’ve tried essential oils and magnesium spray, but they didn’t help like this lotion and the sleep tincture have helped. Amazing! I go it for baby but I use it for me lol! I love that it has magnesium! My mother in law and I love this lotion! It has a great texture and a little goes a long way. It smells so yummy and it works! I have struggled with severe insomnia for years and this helps to calm me down a little bit before bed. I only wish it was more moisturizing but, I don’t know if that’s possible due to the magnesium. I absolutely love this product, for myself, my children and my SO. My 3 kids finally sleep through the night, it has helped a ton with my restless leg syndrome and headaches. It’s so smooth and creamy and smells amazing definitely a must have!! Yes the kids sleep better with this. But I sleep more soundly too. I didn’t realize how poorly I slept until I used the Good Night Lotion. It has a wonderful texture too. Amazing stuff! I started putting this on at bedtime because I was having a hard time falling asleep. I started using this and I fall asleep within 15-20 minutes, and I sleep like a baby! It feels so soft, too. I highly recommend it! This is my absolute favorite Earthley product. My while family loves it! It helps us all sleep better. It smells amazing, and works like a charm. WARNING: may cause the momma to wake up 6 times to check to make sure the toddler isn’t dead since this is the first time ever in 2.5 years that he has slept through the night. Ever. I love the smell! It seems to work well on my 2 year old who loves getting massages but haven’t noticed any difference on my 10 month. First time I ever put it on my children ,my husband was woken up FIRST by our baby in the middle of the night (which NEVER happens normally) because I was sleeping like a baby. Definitely worth trying! This stuff is amazing!! I put it on my 10 month old every night before bed and it almost instantly relaxes him and helps him fall asleep easier and stay asleep longer!! great stuff! it’s smooth and smells good. it’s a little greasier than i would like, but it absorbs quickly so it’s not really much of an issue and certainly doesn’t make me like the product any less. Not that this product even needs another great review BUT I just must! I literally don’t think I could live, well sleep, workout this stuff! The first night I used or on my toddler I checked to see if she died lol. She’s never slept so well! I’m pregnant and when I wake up in the middle of the night to potty I can barely open my eyes and when I’m done I fall right back to sleep! Between the two of us the 1 oz. jar lasted a whole month! Pea sized for baby and a dime size for me. Please do yourself a favor and just get this product! You will not regret! Love this lotion! We put it on our legs every evening , works great for growing pains , muscle aches , and sleep. Also moisturizes your skin . Container lasts for a long time. Wonderful product! My 4 boys, ages 1-5 years old LOVE this lotion! It smells amazing and even helps with my 3 year old’s eczema. So far so good. My daughter is two months a suffers from neonatal lupus. Night times are hard usually, but tonight, after her bath, I rubbed a small amount on the soles of her feet and she has been asleep for a good solid hour. I also rubbed it on my husbands legs, since he suffers from restless legs, and so far he is feeling a slight reduction in tingling sensation that keeps him up at night. Smells lovely. Used it two nights in a row on me and my 5 month old and we are sleeping like rocks! I struggle with fatigue and insomnia so I’m thrilled that this works! Love this stuff. After applying this stuff my children are calm and asleep within 15-20 minutes. Pair this with sleepy time and you’re on your way to amazing peaceful sleeping. My 5 yr old got a round of shots yesterday and was just irritable last night and wouldn’t sleep. I put some GNL on the bottoms of both feet and wrists and she was sound asleep in 10 mins! Amazing product!! I loved the good night lotion. I use on my daughter and it has been a soothing part of her bedtime routine. She is more easily able to fall asleep. It also helps me relax and go to sleep instead of having my mind racing like usual. So glad my daughter introduced this lotion to me. I had heard stories about menopause and sleeplessness and thought “that will never happen to me – I’ve never had a problem falling asleep or staying asleep” I was wrong! Once I started waking up due to hot flashes at night I was having trouble getting back to sleep and would be awake for an hour or two sometimes. I still wake up with hot flashes but since I have started using GNL I have no problem falling right back to sleep. Thanks for this amazing product and thanks to my daughter for sharing it with me!!! This stuff works great on my toddler! It helps her settle down faster and sleep deeper. I put a few dabs on the soles of her feet and back. A little goes a long way! Absolutely amazing stuff. I use it on my 5, 3, and almost 6 month old. My husband and I tease that once this stuff is applied- it’s a sudden domino affect. First the youngest, then the middle, then the eldest. They sleep amazing. Must have for every parent! I love love love this stuff. My put this lotion on my daughter, husband and my legs every night before bed. It smells amazing and I swear it works. We sleep very well now. It started after about 4 nights in a row of my 2 year old not sleeping for some reason which means that the entire house is up. Not good because my husband works hard everyday and when he doesn’t sleep he struggles. We started the dream cream and it has become a nighttime ritual. He is not a “crunchy” man but loves this stuff. I swear though he is becoming more “crunchy” everyday 🙂 Life is much better with sleep! I’ve been using this lotion for several days now and I have to say it works great. I’m sleeping so much better now, it’s wonderful! Love this lotion! One of my favorite Earthley products. I use it on my toddler every night. The nights I forget, she does not sleep nearly as well. My 14 month old is a terrible sleeper. After reading all the reviews, I was hoping this would help us out. Unfortunetly it didn’t work great for us. I didn’t really notice a huge difference on my baby and maybe a little on my 8 year old. Don’t love the texture, but I love the smell. Literally, amazing. I have RLS and while breastfeeding it only gets worse. I was recommend this lotion by a friend and it’s magical!! After five to ten minutes of applying it to my legs, they were calm and I slept sooooo much better. We even put some on our toddler when she seems restless! HIGHLY HIGHLY recommend this for anyone with RLS! We have been using this on our 2 year olds feet every night before bed and it has been amazing! She is sleeping so much better and it’s something she looks forward to every night. The scent and texture is great. Purchased the lotion about a week ago. Put it on both of my LO (2 yr old & 10 month) & myself & i feel i got a good night’s rest. All 3 of us slept for a good solid 3-4 hrs. Then i think it wears off. My 2 yr old still wakes up at night a few times but i think it works pretty good. Smells good too. This is my favorite product. It works great on the babies and myself. Great relaxed feeling after application of the lotion. My daughters and I love this lotion! It has such a soothing scent. We use it every night before bed as part of our nightly bedtime routine. It helps us fall asleep faster and have a restful night’s sleep. Bonus- the magnesium in it helps with kids’ growing pains. Win-win for sure!!! I can finally sleep! Love this stuff! Love the Good Night Lotion. I got it for my 6 month old and she is now sleeping 12 hours a night! She used to sleep restlessly and wake up a lot but no more. I also just started using it and don’t have as much sore muscles in the morning. Have recommended it to a few people already! My family really likes this lotion! I have been having difficulty sleeping at night and this really helps more than other things I’ve tried. Our 9 year old daughter sleeps better too. Love the lavender scent. Love this product! I have had insomnia for 17 years! I have taken magnesium tablets, benadryl, presdription meds – everything in an attempt to sleep through the night. This lotion has made all the difference! I LOVE it! I can’t say enough good things about it. I use it every night without fail. I love the lavender scent but if you don’t I’m sure the unscented will work also. My husband even uses it now because he saw the difference it made for me. Can’t recommend this highly enough – it’s amazing! I have been able to come off melatonin since using this lotion. I love the smell and consistency of this! Used on my special needs son and he is sleeping better!! This lotion is so soothing. MY kids love it! We use it at night before bed and it calms everyone down. We love this!!! My kids beg for it every night. It is not greasy or oily and smells wonderful. I have one child who does not tolerate the feel of lotions, but she doesn’t have a hard time with this. Thank you for a great product! Ordered this and Mama’s Magnesium Dream Cream. I like both but the lavender in the Good Night Lotion is very soothing. Usually within a half hour I’m falling asleep. I love this lotion. I use it on myself and my 14 month old every night. One night, my little guy was super fussy and wouldn’t fall asleep; I realized I had forgotten to the Goodnight Lotion. I rubbed it on his feet, and he was asleep in 2 minutes. It really does work, and a little goes a long way, so the container will last us a while! I love this stuff! It smells so nice and it really does work. It totally helps our little ones sleep better. “A little dab will do ya”, as the saying goes. You don’t need much. I was sad when we ran out and waited for our next batch. I love this product..just started using it ! My entire family uses this lotion. We love it. It smells great and is very effective. Only had it two days but has helped with my restless legs and foot cramps. I have been using the Good Night Lotion on my feet at bedtime for a week and I Love It! The lavendar is relaxing, the shea & mango butter are very moisturizing. I feel like i have a more restful sleep. GREAT PRODUCT! I haven’t really noticed a difference in my kids when using this, unfortunately, but I have noticed it works great on me! It also smells good. My only complaint is the texture. It’s super gritty and looks nothing like the picture advertised. It also leaves a gritty, rough-like feeling on my hands once it dries. Almost like a chalkboard feeling, but on my hands. Works great when reading a book and turning pages, but the overall feeling is uncomfortable. I’ll most likely buy again. Love this stuff ‼️ Haven’t had cramps since I started using it , nice scent and I think I’ve been sleeping better too. Didn’t really notice any difference, and I really wanted it to help! I also gave some to a friend and she was wired after using it…….not sure why it didn’t work for us, I really wanted it to! Smells fine and goes on easily, will have to give it away I guess..
My family loves this. It’s great for helping fall asleep and getting good sleep. It also helped my husband when he sprained his foot. It helped ease the pain. I’ve only used this a few nights so far and the first night was magical. I’m usually up 1-3 times a night and wake up feeling like a zombie even when all together it was 7-9 hours with no energy during the day. The first night I️ slept from 10:30 (usual bedtime 10:30-11:30) until 5:30 (naturally wake around 7-7:30) and was wide awake and ready for the day. I️ had energy from morning to bedtime with no need for a nap. It felt great. The other nights haven’t been as great but it’s definitely working and helping. Ordered another one for my boyfriend. May order more if I️ see big difference by the time the container is empty. My husband and I went through about 4 months of our 10mo waking up 1-2 in the night and being awake for hours. It took about 2 months to really work and see the difference, but we use it every night and she is now 2. Sleeps all night long!!! I don’t really know if it works or not and haven’t noticed an obvious difference, but it does have a really nice smell! I bought it for myself to use because I’m pregnant and struggling to sleep at night and haven’t noticed a difference yet, but I still have to try it on my little one and see if it helps her at all. Nice smell, goes on smooth! I love this lotion. I’ve used it for four nights now and have slept so good! I feel more rested and have more energy! It smells good too! Love the texture of this cream. The best I’ve found so far. My family of 7 went on a family road trip with cousins and grandparents and stayed with relatives when we reached our destination. Grandparents stayed in a hotel, which left my husband and I with 7 children 9 & under in one bedroom. The kids don’t get to spend much time together since we live states apart, so you can imagine the amount of excitement and chatter that was happening… even an hour after bedtime! With a full day planned & a necessary early rise, my husband & I tried everything to get them calmed down and ready for sleep. Nothing worked. And then I tried rubbing good night lotion on everyone’s feet. I kid you not, just 5 short minutes later EVERYONE was out like a light! I am never ever without this miracle lotion now! The magnesium lotion is very helpful in relieving restless leg syndrome. The lotion is incredible. My baby was such a horrible sleeper and was so restless. Since using the lotion he has slept so much better and isn’t tossing and turning. I was jealous and decided to use it myself- let me tell you it’s great! I highly suggest getting it and the bigger one because your need it! I’ve been using this for a few months. It really helps with my sleep. Also, we just moved and I’m on my feet most of the day unpacking – it’s wonderful on sore and tired feet. It’s also working on the sore joint I have on my index finger. This works great for helping me sleep and leg cramps. I use this for my autistic son to help him relax at bedtime. It smells amazing and has truly helped him fall asleep faster! He even asks for ‘bedtime lotion’ as we are getting ready for bed! It has become an essential part of our routine. LOVE LOVE LOVE LOVE LOVE LOVE!!!!!! I seriously can’t say enough good things about the good night lotion!! It’s been a life saver for my son and I! He just turned 5 and has really painful growing pains in his legs. I bought the good night lotion just for the magnesium but after using it on him every night before bed his growing pains STOPPED! Completely!! We never go without our good night lotion now. We’ve ran out a few times and within a week of not having it he starts having the pains again. This is the best product ever! I couldn’t be happier with it! It’s also helped me as well with sleeping more soundly and when I get sore from a workout I rub some on and it takes away the stiffness’! I didn’t notice much improvement in my toddler’s sleep but the lotion smells great and made his legs super soft! It wasn’t sticky and it doesn’t burn like undiluted magnesium oil does. I can’t believe how well this works. It has helped my aching legs and feet at night when I have to fall asleep but can’t relax enough. It is really lovely to apply, non greasy, and fast absorbing. It smells good too! I really love this stuff and I am telling all my friend about it. Love using this on my little as part of our bedtime routine. It helps to calm and settle him for sleep and I can definitely tell the difference when my husband puts him to bed and forgets to use it! I love this lotion!!! I suffer from insomnia and this stuff defiantly helps me get a deep sleep. I have a magnesium diffancy and so this combined with magnesium supplements helps a lot! Love the smell and texture! Feels wonderful! Have only used a few nights, but I think it’s working!! I love this lotion! My preschool-aged daughter struggles to go to bed many nights and this stuff is a life-saver. When we use her “bedtime” lotion she is always asleep at a reasonable time vs. staying up later then her momma. I love the texture and the smell as well – it’s very relaxing. This is so much better than magnesium spray. There is no itching or burning when applying. I’m not sure if it helped me get through my pregnancy nausea, though, since it was well into my first trimester before I got it. Yes, this works great for muscle cramps, migraine headaches, menstrual cramps and sleep. However I have had great success also using this for my daughters’ constipation and impacted bowel issues! One daughter of mine is prone to constipation while the other has the opposite issue, but has a blockage in her bowels that we have not been able to move. While trying to avoid surgery we have tried SO many things but applying this lotion topically (in a massage pattern along her intestines) along with essential oils has finally made a difference! It gets her intestines moving and helps loosen things up in a way that nothing else has. Applying it to my older daughters abdomen a few times a week also helps to keep her constipation at bay, and helps to clear things up when she does get behind. Thank you so much for making such a wonderful multipurpose product! We have tried other magnesium lotions and had itching, rashes and discomfort, but never with this! We won’t be without it. My 6 year old has always been an awful sleeper. Since we’ve started using this he’s falling asleep quicker and staying asleep longer. We can definitely tell the nights we don’t use it. Wish I would have found it sooner! SMELLS GREAT! Love the restful sleep I get from it! I don’t know how I ever lived without this stuff! I put it on my legs every night and not only has it helped me sleep better than I had been in a long time but it has also helped put an end to the leg cramps that would frequently wake me up in the middle of the night. It is also great for muscle soreness and tension. And I love the smell. My kids NEVER slept all night before we started using this! Thanks earthley!!! My husband and I use this almost every night. It has really helped in getting a good night’s sleep! I really love this! I have had problems with relaxing and falling asleep at night but since I started using this I haven’t had any issues at all. It has also helped tremendously with leg cramps. This stuff is awesome! I have had problems with insomnia and restless legs but have been able to relax and fall asleep so much faster since I started using this. I have also started using it on my little ones when they are having trouble falling asleep at night. They ask for it too. Love the consistency & smell. Does not cause any itching or skin irritations. Great way to boost magnesium. Helps us get ready for bedtime. I have tried a few other Magnesium lotions and this is by far the best! I love the feel and smell and my son doesn’t even know it’s on him, he is ultra sensitive to lotions and he sleeps better at night! Absolutely obsessed with this lotion! Amazing texture, unlike any lotion I’ve ever used! Leaves you silky smooth and smelling like a field of lavender with a hint of something like key lime pie (or maybe that’s just me, haha). It’s my favorite part of our bedtime routine! Love this magnesium cream! Use it on myself and my toddler. Helps soothe sore muscles and helps us ease into sleep easier. Does not itch like some mag oils do. Smells wonderful! Love this! Love the smell, love the texture and love that it helps me sleep. I put it on every night. My chest, neck and arms. 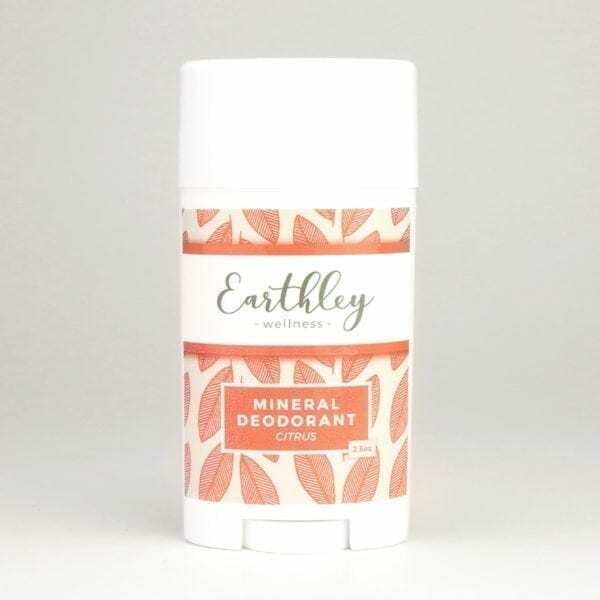 Hands down this is my favorite product from Earthley. My husband, myself, and my 14 month old use it every night. The nights I forget to rub it on my sons feet you can tell! He does not sleep well those nights. I personally apply it to my temples to help with my headaches at the end of the day and to help ease my mind to fall asleep faster. I can tell on myself the nights I use it i wake feeling like I actually got into a deep sleep. The price is awesome I think as our tubs of lotion last all 3 is us a while and it smells so good! I am so happy I did! This stuff is magic! It works wonders for my daughter (and myself). It is now part of our nightly routine. I highly highly suggest this product! This lotion is awesome for relaxing your muscles and promoting sleep. I have purchased this lotion twice so far and use it daily. Since generally most people are low in magnesium it also is good to replenish minerals. We love goodnight lotion! It’s a part of our bedtime routine. The first time we used it my son slept 4 hours straight instead of the 3 hours straight he usually sleeps. It’s a tired mommas blessing! Rubs in well. I’m assured that we’re getting a good dose of magnesium in a small amount, making this last awhile. We adore this lotion! My toddler asks for it every night before bed. I love that it’s smooth and never itchy. It’s a must have for everyone! I love the smell of this amazing lotion- it’s sweet and relaxing, but not at all flowery or perfumy! I suffer from nerve damage, and therefore deal with painful cramps in my legs, particularly at night. Since I’ve started using this cream, I almost never have cramps at night anymore, and my sleep has been so much better! I’ve already ordered a back-up for when I run out! My family LOVES our Goodnight Lotion! It’s soft, gentle, effective, and helps everyone in my little family relax and have a restful nights sleep. I refuse to go to bed without it! I deal with restless leg and often have a hard time falling asleep at night…at least I did until I tried goodnight lotion! Now I sleep like a baby and fall asleep sometimes within minutes! Also love how it leaves my skin feeling so silky and the smell alone is so relaxing. Amazing product!!! We love goodnight lotion! Easy to put on, and works great! I love this stuff! Helps all of us sleep plus it smells like a dream. Love this lotion! My daughter uses it and my friends daughter and they both ask for it because they sleep so well with it! This stuff is amazing! Don’t go a night without it or we regret it. Use just a small amount- it’ll last you a long time. We love it! It helps my 1.5 year old be more relaxed to fall asleep and reduces how restless she is during the night! I regret it if we forget it for more than a night or two. Every night, my toddler and I both put night night cream on our tummies together. 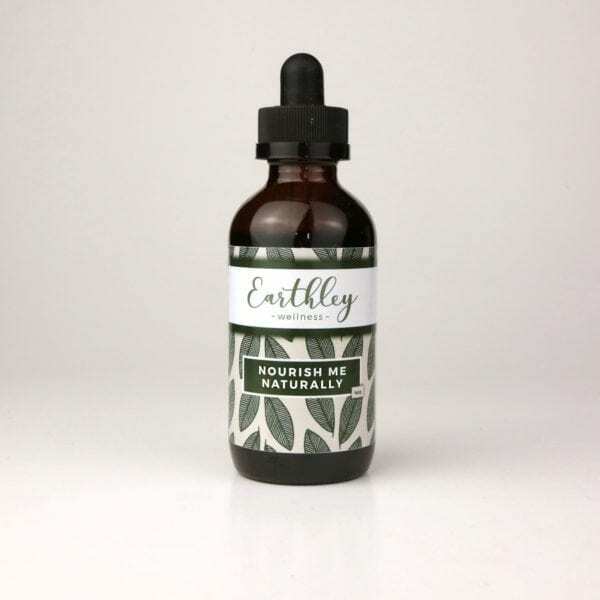 I’m pregnant, and he likes to help rub it in on my tummy, and he always says, “Baby coming in mama’s tummy” <3 Anyways, I love this cream, very easy and soft to rub in, nice and pleasant lavender smell, and I love getting the supplementation of magnesium. I started this product a few months before getting pregnant, and I really think that the magnesium has contributed to my decreased morning sickness for this 2nd pregnancy – I barely had anything more than car sickness in the car, which I sometimes get anyways. My favorite lotion to use at night after a much needed bubble bath. I sleep so much better now and it smells and feels wonderful! My daughter also begs for good night lotion every night! This is the best ever! I cannot even begin to say how much I love this product. It has saved my sleep during pregnancy!!!! I LOVE this lotion. Not just for the health benefits but it smell and feels amazing!!! You NEED this stuff!!! Amazing texture and scent. We use this every night for our one year old son. I believe it makes a difference to help him sleep. Want to sleep? Rub on feet. Want someone else to sleep? Rub on his/her feet. Who knew? Earthley knew! Your products are amazing! Love this stuff! It works really well on my 10 month old who loves fighting sleep, and my husband and I have even used it to get better sleep! Mama of 4 boys who would love to never have a bedtime haha. This stuff is amazing. We do an assembly line with our nightly routine and they already know to pull up their PJ bottoms for this rub. It smells so good, they get a little leg/foot massage, and then they sleep like a tired mom with no interruptions (because we all know sleeping like a baby isn’t the real deal haha). First product I’ve tried, and now I’m hooked on Earthly! I was having problems with pain in my thumb, possibly from carpal tunnel. I’ve been using the good night lotion for the past few weeks and the pain has not came back! My thumb still gets tingly but no pain. I also put this on my stomach for the magnesium, but not on my feet as it seems to make my feet too hot whereas they are usually cold. Love this lotion! It helps me fall asleep. So wonderful! This is the first mag cream I have tried and I love it! Ordered it 2 weeks PP to help with sleepless nights and have also been using it on husband. We have both noticed a better quality of sleep vs nights we forget to use it. This stuff is amazing! I sleep like a rock when I use it! And my husband uses it now too instead of taking melatonin. LOVE this ! Helps me & my baby sleep so much better ! This lotion has been a lifesaver during the last trimester of my pregnancy. I started getting awful leg cramps and restless legs at night during the third trimester. A nice shower and massage with this lotion and all discomfort is gone! It even worked on my husband’s sore muscles after a tough workout. I bought it to help my rambunctious toddler go to sleep easier. It didn’t help her much, but the first night I used it, I felt so relaxed and fell asleep quickly. I have noticed a difference in how well I sleep! I get restful sleep when I use it! I’m in love with the scent! I bought this cream for my toddler to speed up relaxing for bedtime, and also for the added magnesium as he is often constipated. Its super smoother to woolly and he loves the little massage he gets! I need to be more consistent on using this every night. I notice when I don’t use it, I wake up multiple times at night and start my day tired. But when I use, my sleep is awesome. I bought this to try for my 3 year old who is not only super hard to get to sleep (nightly it’s 2 Hours plus) but also wakes 2 times a night and often can’t go back to sleep . I will say we did this plus the night time tincture so I’m not sure how much credit to give each product as we use them together but I have noticed a huge difference. My son now falls asleep within 30 minutes and stays asleep all night long. It smells amazing and he loves having this as part of his nighttime routine. Thanks for an amazing product. I absolutely love this stuff. If I am up too late I get restless leg and this stuff nips it in the bud with no drugs! I have no more leg cramps in the middle of the night and I fall asleep and stay asleep. I love this and is an alternative to pills to help me sleep. I love the GNL and have taken to using it every night. I also love that this is s lotion that does the same work as a supplement capsule. I am all about limiting how many capsules I need to take before bed and this hits the spot. It’s smooth and creamy, has a smell a little like soap, but in a good way. It definitely helps me go to sleep and stay asleep. Definitely a good addition to any good sleep routine. Goodnight Lotion has been a life saver! My daughter no longer takes 2 hours to fall asleep at night, nor does she wake up in the middle of the night. Thank you!! I love this product. I sometimes wake up in the night and have trouble falling back to sleep and occasionally, a leg cramp has woken me, so I just rub a bit of this in wherever the cramp is and it goes away and I’m back asleep in moments. This has been a life saver for me! I had been dealing with migraines and sleeplessness for quite a while before trying this lotion. After using it for a few nights, I noticed that I had not had to take either one! As long as I use it nightly, I have no headaches the next day, and I can sleep without medication! I’m so pleased! My 13 month old woke up frequent times, I tried lavender in the diffuser and nothing worked. I’ve been using this lotion for 4 days now and she only wakes up once! And not even fully awake I just need to get her settled again. Love this lotion! My 3 year old has been sleeping so good since using! Very effective Magnesium Lotion! (I’ve used other mag oil sprays in past, this lotion is better) This helps mom and 9 yr child both get a longer, solid, better night sleep. rubs on soles of feet easily – it has a little grainy texture to start – but with rubbing (body heat?) , that goes away. My child says she does not like that texture. Overall, nicer on skin than most mag oils, sprays, etc. I have a high tolerance, and rubbed on my low back also – also helps with going bathroom by the am! LOL great product. I LOVE LOVE LOVE it! It smells good and feels good. You can bet I’ll be back for more. Amazing! It helped me have the best sleep in months!!! Love it! I love this! It is so soothing and definitely helps me relax for bedtime. I highly reccomend it. This is a must have if you have sleep issues. My number one go to every night. If I go to bed without it I am right back up slathering it on my chest neck and arms. I also use it for headaches. Put a little on my neck and temples. Love this product. I have had rls for years. It takes care of the sensation in minutes and helps me actually rest. It has also been great for my son with spd to help him get a more restful sleep. I also love that I can pronounce all of the ingredients and actually know what they are . I am so happy you created this company. Keep it up! This lotion helps with my neck and shoulder aches. It helps with my Migraines as well. I have used it on my kids for growing pains with good results too. My only issue is the scent is a tad strong for me! Other then that it’s been great ! This stuff speaks for itself! It’s seriously so great. I use this for the whole family and we all are much happier people in the morning! We LOVE the goodnight lotion in our house!! I have been using it on my twins since they were 6months old! It’s a part of their bedtime routine; to massage it on their legs and feet!! Definitely one of those products we don’t go without!! Must have in our home! Myself, my husband my son who is 4 and my daughter who is 18 months all use this lotion and LOVE it. The lavender scent is just enough and not overpowering at all ! Love the creaminess of this lotion and the subtle lavender scent. It helps me sleep more sound as I’d hoped. I’ll definitely make this purchase again! My husband has always had problems falling asleep but his lotion does wonders for him! Our whole family uses it every night! This is the only magnesium lotion I have tried that doesn’t leave my skin itchy or burning. My kids love it and say it helps them sleep better. The smell is so beautiful. LoVE LOVE LOVE this stuff. I always have to have some on hand. My girls would wake multiple times through out the night. Getting 2 to 3 hours of uninterrupted sleep throughout the night was not cutting it for me. I tried this leg lotion at night and both my girls slept through the whole night! If my girls go to bed without the lotion on they wake up many time throughout the night. I even have my husband saying “did you pit their leg lotion on?” This lotion is amazing! I had so much hope for this lotion to help my LO (currently 7 months) get to sleep. No such luck unfortunately. We have been using every night for over a month and nothing. This kid wails if he senses I am putting him down I general, let alone trying to put him to sleep. It does have a nice smell to it though and we will continue to use for night time foot rubs. Hopefully something clicks eventually. Helps me and my little one (2yo) get a good nights rests and fall asleep quicker! We initially thought that the GNL was helping. However after taking a break from using it. I opened my container today and found to my dismay it had rusted on the inside of my tin. I’m glad to see that you are using a different container. I don’t intend to buy again. This stuff helps me sleep so soundly…sometimes too soundly! Despite sleeping through a few alarms I appreciate this lotion because I have fallen asleep much more easily since incorporating it into my nightly routine. I am hoping this is also helping my hormones balance out because I have recently stopped taking hormonal birth control. This lotion is absolutely amazing! When my daughters are having trouble sleeping, a little of this lovely smelling lotion helps them relax and get to sleep in a very quickly. 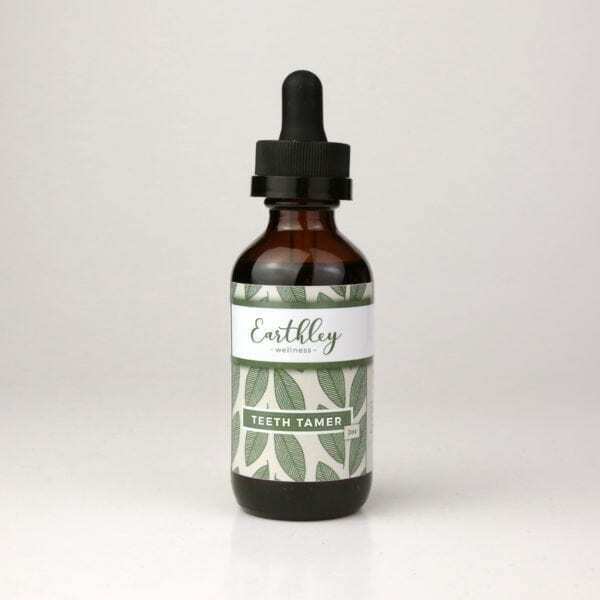 This has got to be one of my favorite Earthley products! My little guy who is 4 has suffered from night terrors and restless sleep since birth and I’ve tried tons of different things with little improvement. When I started using this magnesium Good Night Lotion on him every night I started noticing huge improvements in his overall sleep. He sleeps more sound and has fewer night terrors which is amazing! I’m more rested myself now and beyond thrilled! Plus it smells great a little goes a long ways! Got this for my husband to help him get better rest and sleep. He did say he noticed a difference! He wasn’t sure if it was enough of a difference to buy it again, but he gave it an overall good review. I love love love the good night lotion. I sleep so much more soundly. I fall asleep faster & get more solid sleep-not waking up in the middle of the night. If I roll over & go right to sleep, my hands feel kind of sticky the next morning but I just wash them & it’s fine. Love this lotion. I use it on both my kids feet before bed and I use it on myself as well. It works wonders for my kids. Love it. My kids love it as well. Very relaxing. I’m going on night 5 of using it and I’ve slept all night for the past 3 nights! I suggest in dozing off and also staying asleep and so far I am loving the results!! It also smells wonderful and leaves my skin smooth! I will definitely be ordering the larger one next time! This product has made bedtime be a peaceful time and I no longer dred it. It used to be that my children (ages 5 and 7) would stay up after we read and tucked them in for an hour or two. Now they are asleep with in 10 minuets of us finishing our routine. It is a life saver and I am so thankful I bought it! This product is truly amazing. I use it on my 9 and almost 3 year old girls. Within 10/15 minutes they are both asleep. My little one would be up for at least an hour or two after being put to bed, not now. Both my girls love the smell and ask for the good night lotion every night now. Such a life saver. I love it too, getting a great night sleep. Will be buying the bigger size next time I order. I purchased this for myself and my 3 year old – he stays up too late and takes a while to settle down in the evenings. I have noticed a positive difference! Also, for myself – I struggle with sleep issues as far as staying asleep. This has helped me get longer ‘blocks’ of sleep than I normally would get and it smells great and feels great! This stuff is awesome. My two year old fights to go to sleep at night and was waking up numerous times a night. She still fights going to sleep but now she stays asleep. We have been using this for approx 2 weeks now and ever since she started she has not got up once until the morning and sleeps 9-10 hour stretches. I tried some too and it makes me sleep better as well. Highly recommended! I love the goodnight lotion! So much that I bought more to give as gifts and I recommend it to anyone I hear is having sleep issues. I’ve used it on my kids too! Love it! Prior to using the goodnight lotion I couldn’t tell you the last time I fell into a truly deep sleep. After using this lotion, I wake up refreshed! That hasn’t happened in quite a while! GNL is my go-to lotion. It doesn’t leave me sticky or itchy. It glides on silky smooth and helps me fall asleep so much better than when I don’t use it. I like it for muscle aches as well. It’s my favorite product to slather on after a hot shower. The scent is mild and pleasant, not chemical-laden or cloying. I appreciate that Earthley is transparent about their products. And they are easy to chat with due to the chat button on their site. I’ve inquired before about various ingredients and the response was almost immediate. That’s the kind of customer service I truly appreciate. Obviously, shipping isn’t quite as fast a Amazon but it’s still very reasonable and prompt. No long wait for my favorite products. I recommend this to every mom whose child needs sleep help, with great results. My children sleep so well now, using it nightly, and my second child was a terrible sleeper until we started using this regularly. I can still tell if we miss a few days! I used to make my own mag lotion, but this is SO MUCH BETTER in texture and absorbency. I’m so happy I tried this lotion! The smell is a nice, soft lavender and a little bit of the lotion goes a long way. I’ve incorporated it in my nightly routine and highly recommend to others. This calming mixture of lavender and magnesium is my absolute favorite. My 4yo looks forward to it every night as part of our bedtime routine. This has been my most recommend product by far, especially because the whole family can use it. I used to get bad let cramps every night. I don’t anymore, as long as i use this. That’s worth 100 stars to me. Beeeest magnesium lotion ever! Our 5yo son with autism and PANDAS used to wake up at 2-3am and literally run around in circles with crazy energy. But since giving him this magnesium lotion he goes to sleep easily (used to take 2-3hrs to get him to go to sleep. It was horrible), he stays asleep and he gets 10-11hrs of sleep every night! What I also love is how long the biggest jar lasts. There are 5 in our family and we put it on every other night and it has lasted us almost 6mo! It has also helped me tremendously. I haven’t dreamt more than twice since I had my first child over 6yrs ago. Now since using the lotion I dream multiple dreams a night and don’t wake so frequently! Unless the toddler wakes up. This stuff is so amazing! Total game changer and I definitely tell all the other autism and PANDAS/PANS families about it as well! Absolutely love this night lotion. Currently 34 weeks pregnant with baby #5, definitely can not go a night without it. Love that I haven’t experienced any leg cramps and can sleep well. Plus, I use it for my 4 boys because we all know if they aren’t sleeping, mamas not sleeping haha. This is my favorite product! I love the texture and the smell is my favorite. Helps with achy muscles too. I have used on my son’s belly with no negative reaction. I love it. This stuff works wonders for calming down our off-the-wall, hyper one year old when he won’t go to sleep. I can’t say how many nights it’s been 1 or 2 AM, and just a little bit has helped bring him from wanting to climb all over my wife and I to relaxed and (finally) ready to sleep. Thank you Earthley! Purchased this for my friends son and she loves it! Goodnight Lotion is AMAZING! We use it on our kids every night! When we run out it’s a rough night! It smells so good! Smooth texture and a tiny bit goes a very long way! I’m finally needing to reorder more since my 4oz I bought a while ago is running out! I love this! I use it and my son uses it and it is really effective. My son is 12 and always had some trouble winding down at bedtime. A tiny bit of this on his feet, and he has no trouble falling asleep. I used to wake up around 4 a.m. battling anxious thoughts and now that I put this on before bed, I skip those odd wake up times. It smells really good too. I highly recommended this! This stuff has been a lifesaver for me and my family! We put it on the kid’s legs each night before bed and they fall asleep quicker and stay asleep longer. When my husband and I use it, we sleep like rocks!! We also use it on my daughter’s growing pains and it stops the pain within a few minutes. It’s truly amazing. I tell all my mom friends about it! I cannot believe how much of a difference magnesium makes to our kids’ sleeps! Our 3 year old daughter LOVES to put it on herself, & both of our kids have a much easier time falling asleep, and getting deep, restful sleeps. We use the Vitamin D Cream too, and it makes a HUGE difference too. Makes bed time sooo much easier with my 1 year old. It used to be an hours long struggle full of tears(and maybe some of them were mine!lol). Now he grumbles a little and falls asleep easily. I will keep ordering this! This stuff has been a sleep miracle on our baby. I massage it onto her legs before bed and she sleeps the whole night now that we started using it. This stuff is seriously amazing! I suffer occasionally from foot cramps and this cream stops those cramps in their tracks! i highly recommend especially for expecting moms who suffer from cramps. I wish I had found this product sooner! I have 5 children and often missed sleep because of their waking with one need or another. A common complaint was leg pain. I now put the goodnight lotion on my four youngest every night and they sleep so much better. My 8 year old even puts it on herself as she is so grateful to not have regular leg pain any more! Thank you for such a great product! I love all of us getting better sleep! Love! In the past, I have used magnesium sprays, but I really like this lotion better. It’s less greasy than the spray. My 9-month-old daughter uses it before bed and now my husband even uses it every night! It’s a go-to for our nightly routine. Amazing stuff! Smells great, feels great and really helps my son at night! I use it on myself as well. Makes a huge difference in the restless leg symptoms I have, and definitely helps me get better quality sleep! My boys have also come to love it-my oldest says it’s “feel good lotion” that makes his legs feel better, and I notice they sleep much better at night when we use it! Love this products! Smells SO good, even though iwe use the Unscented. Feels great on my sore muscles, helps with my sleep, and I love that it’s safe for my baby too. I’ve used this on my 3 year old on and off for several weeks. I can’t tell a difference when I use it vs. when I don’t. She can take a long time to settle for bed, so I purchased this to help get her into a calm mode after her bath. It goes on smooth and it smells nice, I just don’t notice a difference. Also, since she’s 3, she can’t articulate if this helps her or not? I will continue to use, but again, I’m not sure what it is doing, other than perhaps giving her some much needed magnesium which many Americans are deficient in. This lotion works great. With a toddler and a baby bed time can be crazy. I put this on the whole family before bed and we usually are sleeping pretty quickly and soundly. My husband has a bad injury and has noticed a more restful sleep since using this. I have made my own homemade magnesium lotion in the past and me and my girls loved it. However, it’s an absolute pain to make it and especially clean the equipment after making it. I was thrilled to see that Earthley offers this. It is an affordable product and works wonders. Luckily my family doesn’t have any issues falling asleep and staying asleep, but we seem to have a more restful sleep when we use it. Plus everyone could use more magnesium and the ingredients are completely natural. Have been using this lotion for my now 10 month old for a few months now and I believe it does help her to sleep better. I love the smell too! I was visiting a friend and she was telling me about this product and how much it has helped her with her sleep. I was at my wits end and had actually visited the Dr. to get medication to help me sleep. I was only sleeping about three hours a night and it wasnt a restful sleep. I would wake in the middle of the night and be wide awake. I got the prescription filled and was concerned with the precautions, i.e. no driving, no operating heavy machinery, may cause sleep walking etc. I wanted something more natural with less side effects. My friend had been using this for a few weeks and Loves it. I decided to give it a try and am SOOOOO glad I did. I have not needed to use my prescription and only use the Goodnight Lotion. This is a product I will ALWAYS have on hand! I love how smooth and creamy this is! It isnt sticky and it doesn’t irritate my skin the way other transdermal magmesium products have. My kids love getting massaged with it at bedtime as well. This gnl, along with the sleepy time potion has really helped my toddler and myself fall asleep sooner and sleep much deeper. I LOVE this stuff, love both the unscented and lavender scent! I love the consistency, its not sticky at all. OMG! Best stuff ever! I use this every single night before going to bed and I sleep like a baby…no more leg cramps, no trouble falling asleep. And I love the smell! I started buying this when I was pregnant last year and it helped so much with my restless legs and leg cramps! I still use it now and I can totally fee myself relax after applying this as I’m trying to fall asleep. My baby girl still wakes up a bazillion times a night so as for helping me sleep I can’t quite tell lol! It smells really nice and absorbs great into your skin. It does burn my fingers sometimes when I apply it (my skin is so dry and sometimes my fingers crack so I just have to be careful when applying it). I absolutely LOVE the smell, the feel. I use on my son and works much better than the spray causing no itchiness. I actually do use a spray as I need a higher dosage, and dont wont to go through a whole bottle every week. But when my sons calves are tight or spasming since he is a slight toe walker, it works wonders. I also use more on his chest/back when his asthma worsens, and can help! My toddler loves to remind me to get him his “night-night cream” before bed. It helps him drift off to sleep peacefully and helps me relax and shut my racing thoughts off at night. The lavender scent is really nice and I actually prefer it to the unscented version. It also seems to ease my husband’s anxiety during the day when he remembers to use it at night. We’re on our third jar of this lotion and I plan to buy it for many years to come. I bought this cream almost a year ago for leg pains. When one comes now I put this cream on and almost every time it is gone within 5 or so minutes. Sometimes I have to apply it twice. And occasionally nothing helps. But I know that if I am not at home when I get a leg pain and do not have this cream I am desperate for it, so I have taken to carrying it with me. If you have leg pains too I would highly recommend trying this cream. After I apply my good night lotion, my golden retriever makes me “rub” him down as well. He just loves our nighttime ritual. My whole family is enjoying this. My kids are 11,9,3 & 1 and I am happy bed time is not taking forever anymore. Also, two of children get growing pains and since using the lotion they don’t complain about it which makes me very happy. Thank you will definitely buy more. Love the texture, smell and that it is vegan. One of my favorite things from this company! Absolutely love this! My whole family uses it and my kids ask for it every night. My 3-yr-old just wasn’t sleeping very well, tossing and turning at night, which meant I wasn’t sleeping very well. We started using this and now we all get such great sleep and feel more relaxed in the morning! My older child used to complain of growing pains sometimes and when it was bad we’d have to turn it children’s motrin. Since we started using this she rarely complains. When she does, we put extra lotion on the spot and no more complaining. I turned my grandparents on to this and my grandpa said the first night after putting it on his knees he woke up for the first time in a while without them aching! Love this stuff!!! 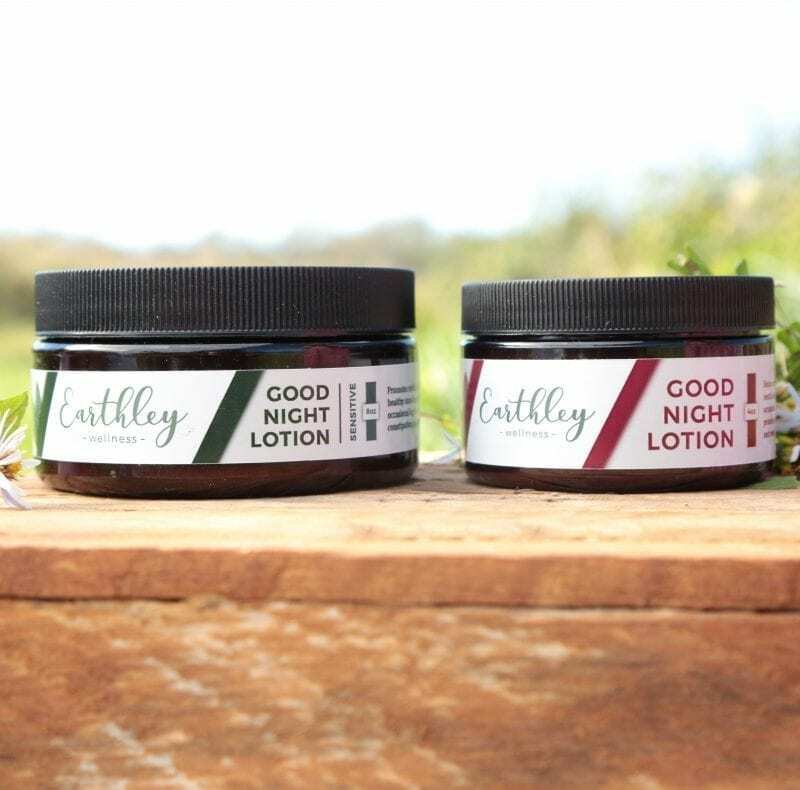 If you need a restful sleep or have leg issues, you must have Goodnight Lotion. I have several favorites, but this is at the top of my list. We use it every night! This lotion has a great smell to it- I am very particular about lavender and this is not overpowering. My children and husband like the smell too. It seems to help them calm down before falling asleep. It is not greasy and rubs in well. I would definitely buy again! Love this stuff! Helps my baby sleep better and helps me when I get headaches to feel better the next day! I love this lotion! I bought it for my 10 month old to have during her bedtime routine. She smells so delicious and sleeps better (I think anyway!) when I use the lotion. I sure wish I had it when I was crampy and pregnant!! Definitely will be buying this again. This really is the miracle everyone says it is. Getting the best sleep of my life. Works great on the kids too! We love this! When my daughter has a tummy ache or is having a hard time falling asleep, I use a small amount on the bottoms of her feet and then she feels better. It definitely soothes her and helps her fall asleep much faster. I love how it doesn’t make you itch when you put it on. We love the lavender one, but would like to try the sensitive one too. We will be purchasing this lotion again once we run out. It’s a must have in our house.